At the heart of Eilat where the crystal Red Sea and the Desert mountains meet, stands the Queen of Sheba .Situated in a prime position on the sea front, the hotel offers breathtaking views of the Red Sea, the mountains and the beautiful lagoon. The Hotel is designed as the imaginary biblical palace of the Queen of Sheba, the architecture and interior design are characterized by hand painted motifs, mosaics and domes. The hotel offers a spacious synagogue, energetic activities and a childrens club. Cancellation during peak season and holidays (Pesach, Rosh Hashana, Shavuot, Sukkot) - within 7-14 business days prior to arrival date. Cancellation fees 100 NIS or 5% of the total order, whichever is lower. Within 7 business days prior to arrival date a cancellation fee of 50% of the total booking. Queen of Sheba suite JacuzziThese luxury suites offer two large bedrooms with a luxurious bathroom, a spacious living room and dining area. 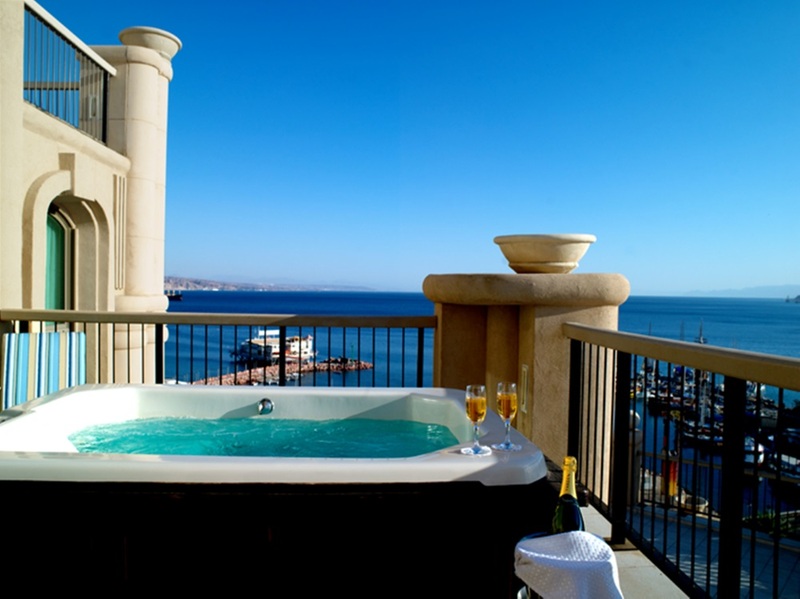 Together with their impressive furnished balconies, each with a large Jacuzzi, these suites provide the perfect location for an unforgettable stay. Guests of our suites will receive transportation from the Eilat airport to the hotel, unlimited use of the Executive Lounge, open from 08:00-20:00 offering a rich buffet of delicious delights and beverages. (Access is permitted from age 18). Suite guests may use the hotel fitness center and spa, and are entitled to a discount on selected treatments at the spa. A daily newspaper is delivered to your suite and bathrobes and slippers are given for use at the hotel and in the comfort of your room. Premium Sea ViewThe new premium rooms of the Queen of Sheba Hotel Eilat combine colors, textures, and lighting decoration meticulous modern design, with a lot of thought to create a unique and relaxing atmosphere while maintaining high level standards of luxury befitting a queen. It offers the appropriate premium for individuals, couples and families. 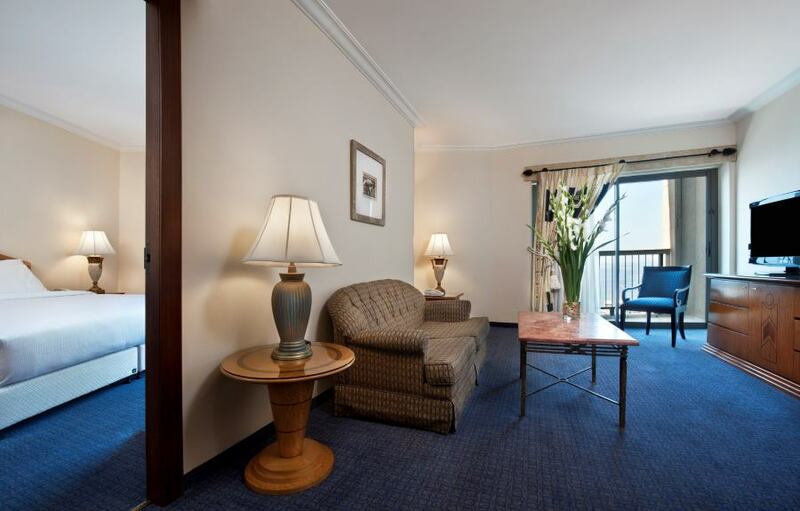 Each room category of "premium rooms" are located on the fifth, seventh, eighth, tenth, eleven and twelve and a hotel. Premium rooms are equipped with a luxurious bathroom, a spacious seating area, an LCD screen, King Serenity bed, Wi-Fi, and some have a desk to deliver an experience as an international business, double or Msfhtit.lhdrim one of these spectacular views: View of Eilat Red Mountains or lagoon views. Premium Room: Enjoy a vacation in a spacious modern room 27m² with King Serenity bed, fully equipped and luxurious bathrooms, an LCD screen, a desk in select rooms, a comfortable seating area. Suitable for a couple / couple with a child. King Deluxe Sea ViewSpacious rooms with a king, a single sofa bed, an LCD screen and a luxurious bathroom. These rooms have a comfortable seating area, a small fridge, a safe and a wireless Internet connection. Balconies standing relationship floors only. Surcharge for rooms facing the sea / pool. Adjusted couple / couple with a child. Premium Family Room Spacious family room size of 42 square meters with a bedroom with King Serenity bed, fully equipped and luxurious bathrooms, an LCD screen, a desk and a kitchenette in select rooms and a separate spacious living room. Ideal for families up to 3 children. Deluxe Twin RoomSpacious rooms with king / twin beds single sofa bed, an LCD screen and a luxurious bathroom. These rooms have a comfortable seating area, a small fridge, a safe and a wireless Internet connection. Balconies standing relationship floors only. Surcharge for rooms facing the sea / pool. Adjusted couple / couple with a child. Premium Junior roomThe new premium rooms of the Queen of Sheba Hotel Eilat combine colors, textures, and lighting decoration meticulous modern design, with a lot of thought to create a unique and relaxing atmosphere while maintaining high level standards of luxury befitting a queen. It offers the appropriate premium for individuals, couples and families. 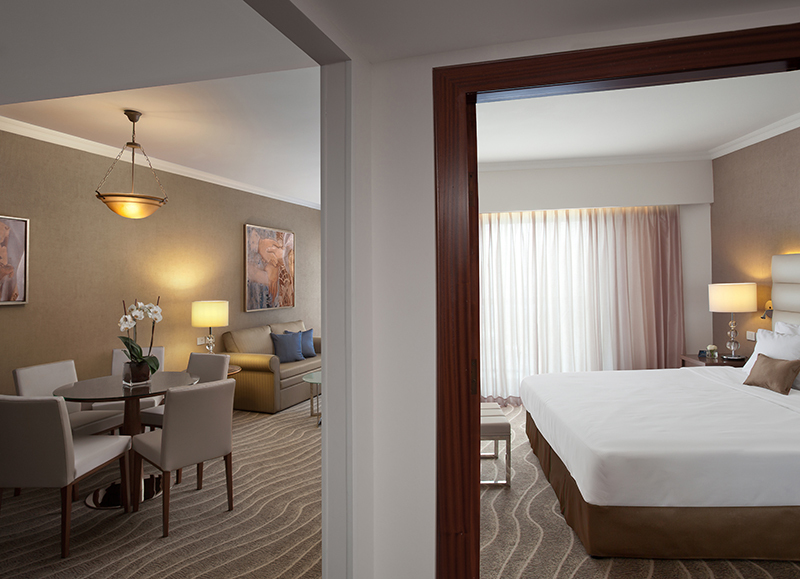 Each room category of "premium rooms" are located on the fifth, seventh, eighth, tenth, eleven and twelve and a hotel. 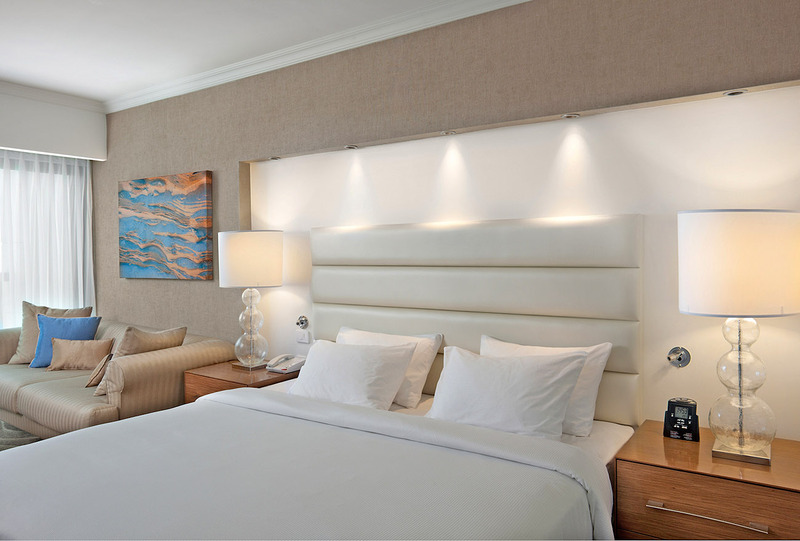 Spacious unit 35m² with King Serenity bed, fully equipped and luxurious bathrooms, an LCD screen, a comfortable seating area, desk select rooms, decorated in light and comfortable. Ideal for families to two children. Queen of Sheba SuiteThese luxury suites offer two large bedrooms with a luxurious bathroom, a spacious living room and dining area. 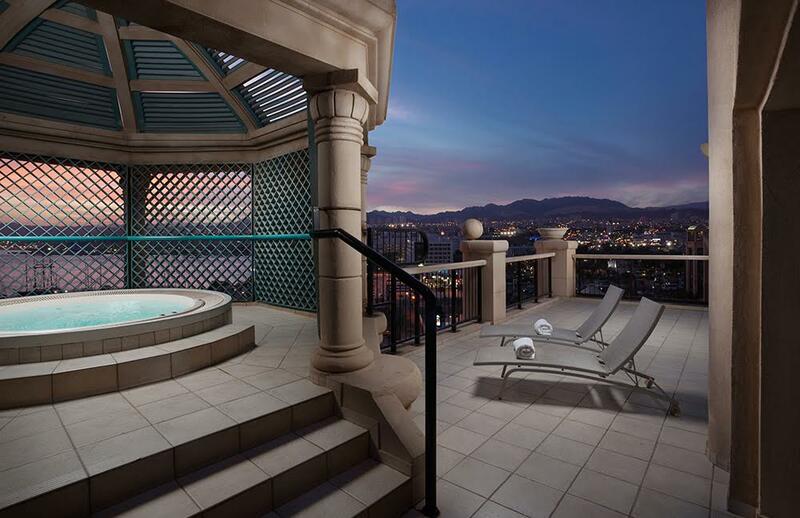 Together with their impressive furnished balconies, each with a large covered Jacuzzi, these suites provide the perfect location for an unforgettable stay. 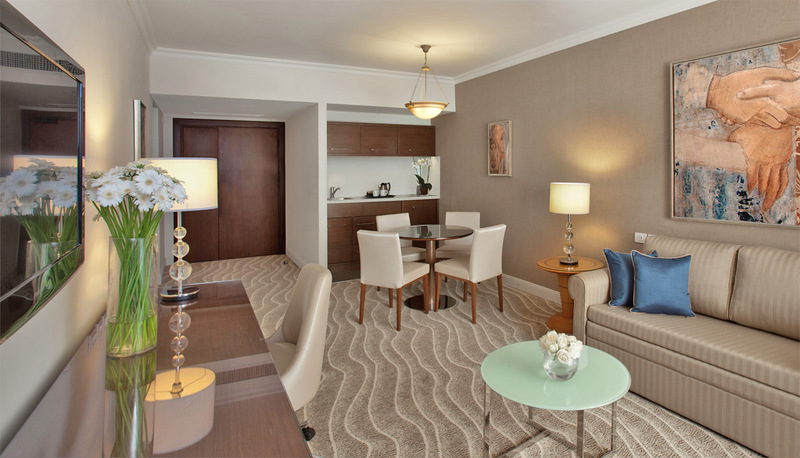 Guests of our suites will receive transportation from the Eilat airport to the hotel, unlimited use of the Executive Lounge, open from 08:00-20:00 offering a rich buffet of delicious delights and beverages. (Access is permitted from age 18). Suite guests may use the hotel fitness center and spa, and are entitled to a discount on selected treatments at the spa. A daily newspaper is delivered to your suite and bathrobes and slippers are given for use at the hotel and in the comfort of your room. Plaza SuiteDesigned in a modern style offering the best in comfort, these suites invite their guests to enjoy the perfect relaxing experience. The suite offers a large bedroom with a King Serenity bed, a luxurious bathroom, a comfortable living room and a kitchenette with a refrigerator and a microwave. With its two LCD TVs for entertainment and a large balcony with an open Jacuzzi, this well-designed suite, designed for the perfect stay, will make your visit unforgettable. 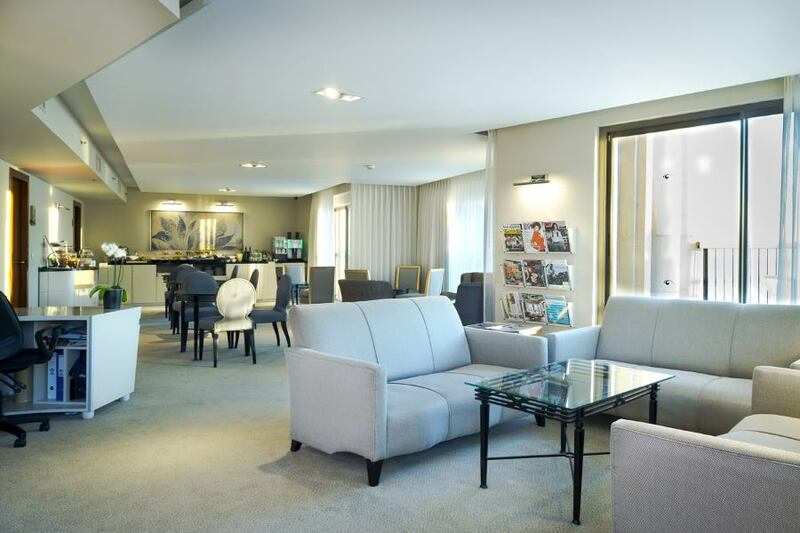 Guests of our suites will receive transportation from the Eilat airport to the hotel, enjoy unlimited use of the Executive Lounge, open from 08:00-20:00 offering a rich buffet of delicious delights and beverages. (Access is permitted from age 18). Suite guests may use the hotel fitness center and spa, and are entitled to a discount on selected treatments at the spa. A daily newspaper is delivered to your suite and bathrobes and slippers are given for use at the hotel and in the comfort of your room. Executive RoomsYou will feel the difference from the moment you enjoy being able to check into and later leave your room without having to wait at the reception desk. Executive Package guests can enjoy a peaceful and high-quality visit with an emphasis on every small detail that ensures a special experience. Internet service, fax access, free newspapers and magazines of your choice are just a small sample of the benefits you will receive For guests looking for peace and tranquility, the Queen of Sheba Eilat Hotel offers a beautiful lounge where one can relax indoors or a spacious terrace outside with breathtaking views of the city and the Red Sea. At the Executive Lounge, you can find a full bar of hot, cold and alcohol beverages in addition to an array of sweet delights, fruit, pastries and snacks. The Executive Lounge Manager and staff invite you to enjoy this luxury package which also includes free access to the fitness center and spa and a discount on selected treatments at the spa. The Executive Lounge team will take care of your every need, leaving you to relax and enjoy a carefree and unforgettable stay. The Executive Lounge is open daily between 08:00 20:00. Premium roomsThe new premium rooms of the Queen of Sheba Hotel Eilat combine colors, textures, and lighting decoration meticulous modern design, with a lot of thought to create a unique and relaxing atmosphere while maintaining high level standards of luxury befitting a queen. It offers the appropriate premium for individuals, couples and families. 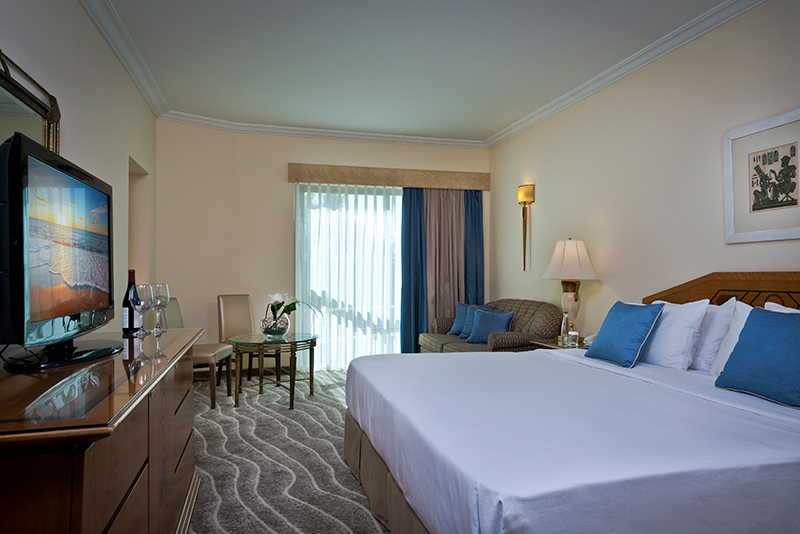 Each room category of "premium rooms" are located on the fifth, seventh, eighth, tenth, eleven and twelve and a hotel. Premium rooms are equipped with a luxurious bathroom, a spacious seating area, an LCD screen, King Serenity bed, Wi-Fi, and some have a desk to deliver an experience as an international business, double or Msfhtit.lhdrim one of these spectacular views: View of Eilat Red Mountains or lagoon views. Enjoy a vacation in a spacious modern room 27m² with King Serenity bed, fully equipped and luxurious bathrooms, an LCD screen, a desk in select rooms, a comfortable seating area. Suitable for a couple / couple with a child. Family roomsThe family unit has a large bedroom and a separate living room and built to accommodate families of five. These family units, appropriate accommodation of families, constitute a great atmosphere pleasant and relaxing accommodation. Accommodation with a bedroom and a separate living room. Double bedroom, additional sofa in the living room for children. Coffee and tea set. 2 TVs, a safe and a kitchenette decorative wooden alcove built fridge and microwave. Balconies standing relationship floors only. Surcharge for rooms facing the sea / pool. Adapted to couple + 3 children. Deluxe roomsSpacious rooms with a king, a single sofa bed, an LCD screen and a luxurious bathroom. These rooms have a comfortable seating area, a small fridge, a safe and a wireless Internet connection. Balconies just standing relationship floors plus a $ 50 per night in coordination with the Department of orders and EA space Surcharge for rooms facing the sea / pool. Adjusted couple / couple with a child.